Meet Drew Sutton. 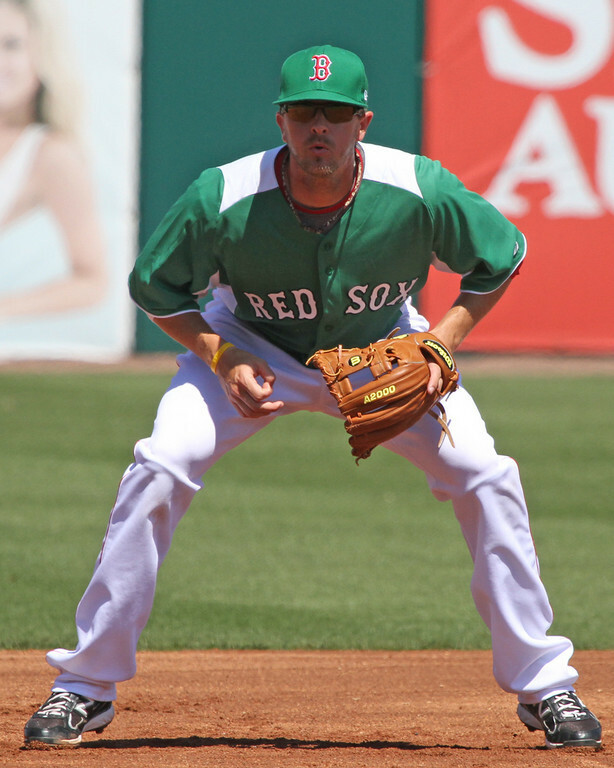 The latest infielder to be called up from Pawtucket. Photo courtesy of Kelly O'Connor and used with permission. 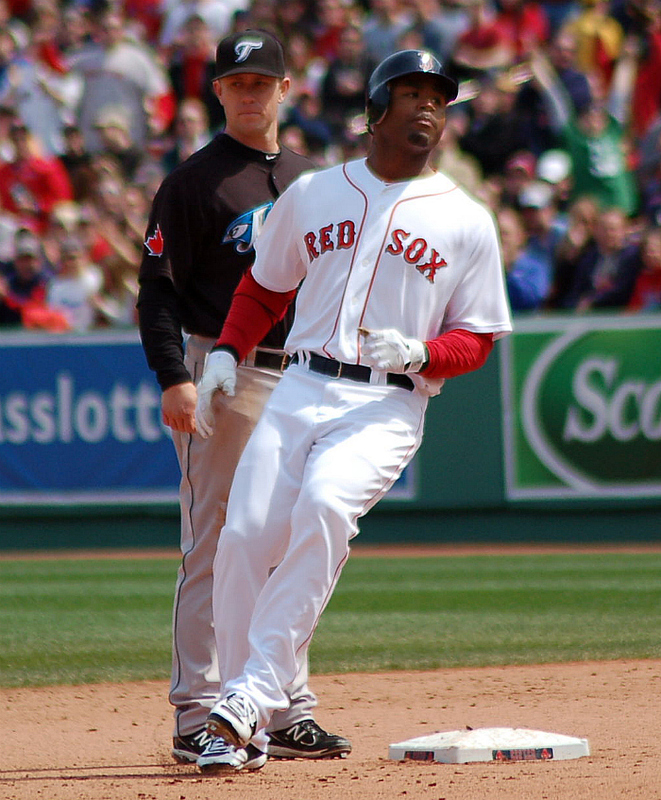 Some time in April I was at a game with Kelly O’Connor where we were talking about the people right there at the game as well as people ranting on Twitter who were complaining about what a terrible signing Carl Crawford was for the Red Sox. While having to admit that he (along with about 80% of the team at the time) was struggling, we both wondered the same things: Why were fans acting like Crawford was a rookie the team through a crazy contract at OR why were they acting as if they had never seen Crawford play before he got to Boston? That it wasn’t obvious to people that he was having a bad month still boggles my mind. May has been a bit of a different month for Crawford. He has three game-winning hits. It’s still slow-going for Crawford but all signs, including his knack for getting hits when the team really needs them, are pointing his his returning to form. He might not have Adrian Gonzalez numbers but it’s far too early to decide signing him was a bad idea. Here’s to many more walk-off hits for Carl Crawford. On the one hand, their ability to win these close games is impressive. On the other, I’m getting tired of every game being a nail-biter. During this six-game winning streak, the only “blow out” game played was the 6-0 win against the Yankees. The other two Yankees games were won by one and two runs and the last three games the Red Sox played were won by one run. I’d like a piling on of Red Sox runs this weekend. My fingernails need some time to grow back. 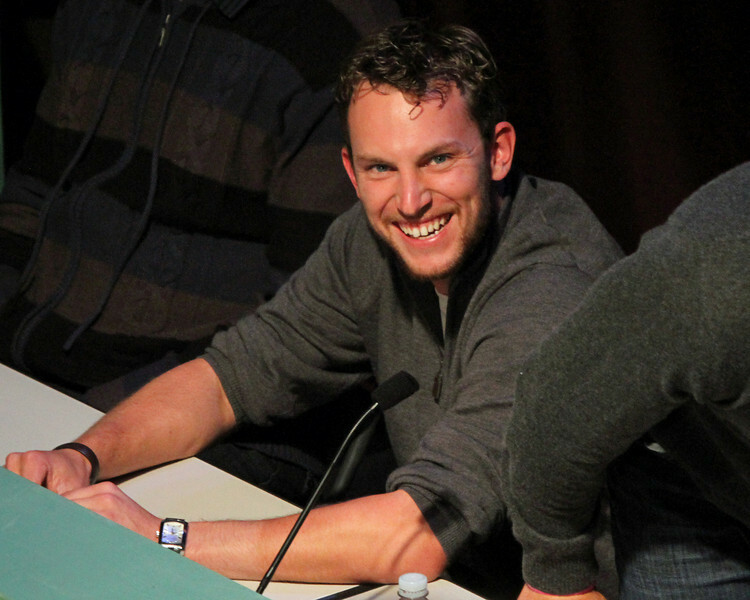 It occurs to me that I don’t know all that much about this year’s Chicago Cubs. Unfortunate given they’ll be in town all weekend. So let’s catch up a little bit. The Cubs are currently at 19-23, putting them 5th in the NL Central and 5.5 games out of first. The pitchers we’ll see this weekend? Doug Davis, Carlos Zambrano and old friend Matt Garza (going up against Jon Lester, Alfredo Aceves and Tim Wakefield…again I ask for many Red Sox runs). Davis had elbow tendon surgery last year and has only one start this season since he went on the DL last July. In that one start, he pitched five innings, struck out six and gave up one run on four hits (he also got the loss). Zambrano had a ten-game winning streak on the road until the Cubs lost his last outing. 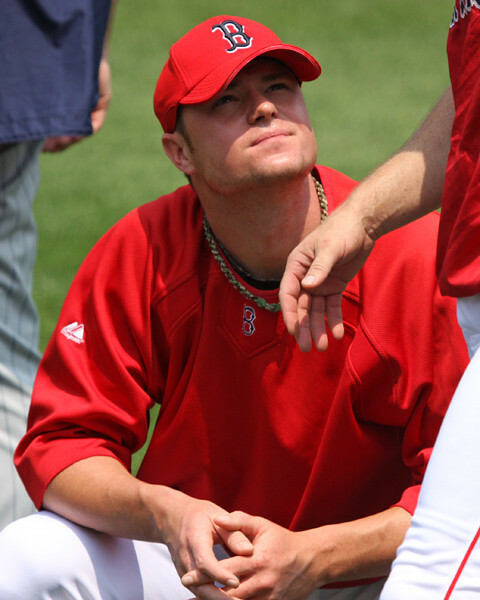 He has pitched against the Red Sox only one time, when the Sox visited Chicago in 2005, and the Sox took him for four runs on five hits in five innings. Repeating history would be nice here, fellas. We all know Matt Garza. Feels like he was the bane of the team’s existence for way too long. 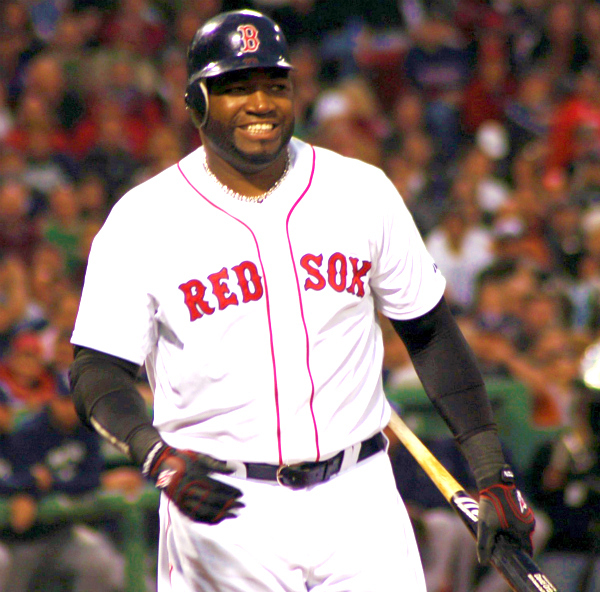 If the Red Sox can get to him early and shake him up, could be a fun night for baseball. The Garza/Wakefield game is the game we’ll be live chatting this week…Sunday at 8pm once again. If memory serves, we have good luck with Garza starts that take place during live chats. More of that, please. Old friend Carlos Pena is with the Chicago Cubs this season and Alfonso Soriano, once a hated rival (wow, that was so long ago) will be back too. Honestly, I have not much about the Cubs. Pay they very little mind until about September usually. But they aren’t a team I dislike, so at the very least having them back for this historic series will be fun (especially on Saturday when both teams wear their throwback uniforms). Jose Iglesias and Michael Bowden will get sent back to Pawtucket for this series. 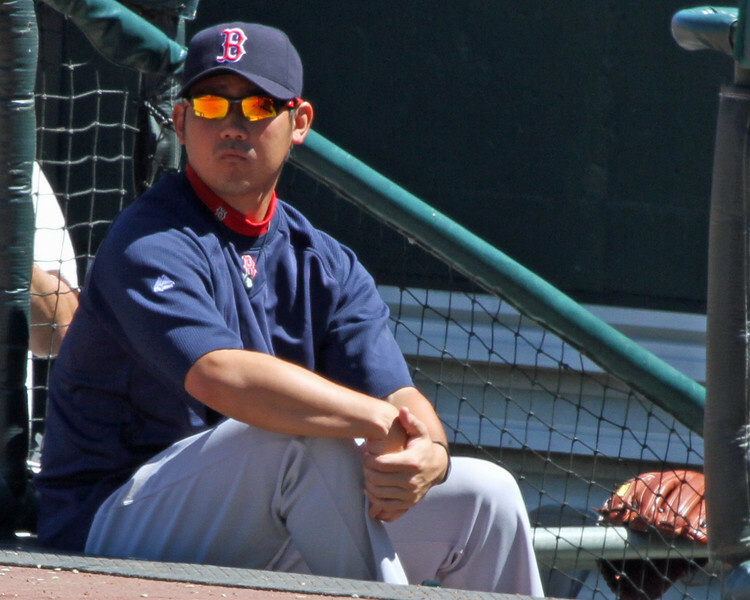 In even sadder news, Hideki Okajima has been designated for assignment. 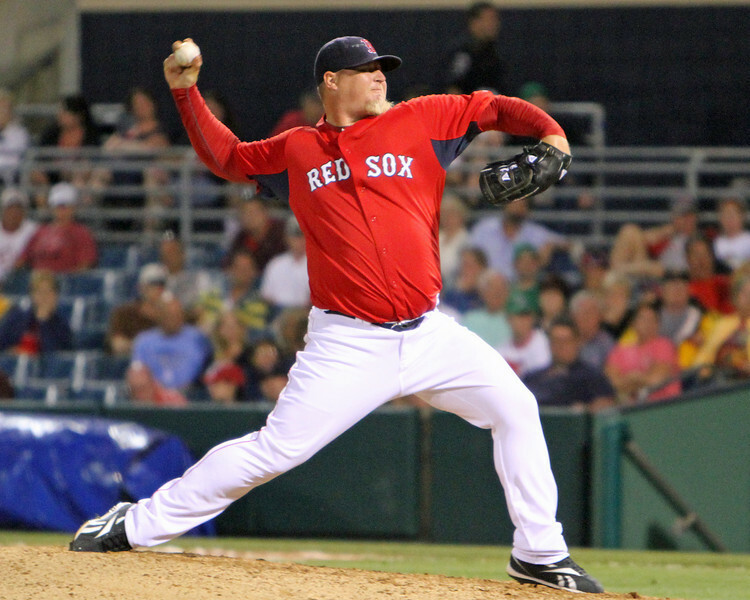 Among many other more serious things, what that means is the only original “pirate” in the bullpen now is Jonathan Papelbon – and he was never one of the bullpen band…one of my favorite eras in Red Sox bullpen history is truly over. A nine-game winning streak sounds nice, doesn’t it? 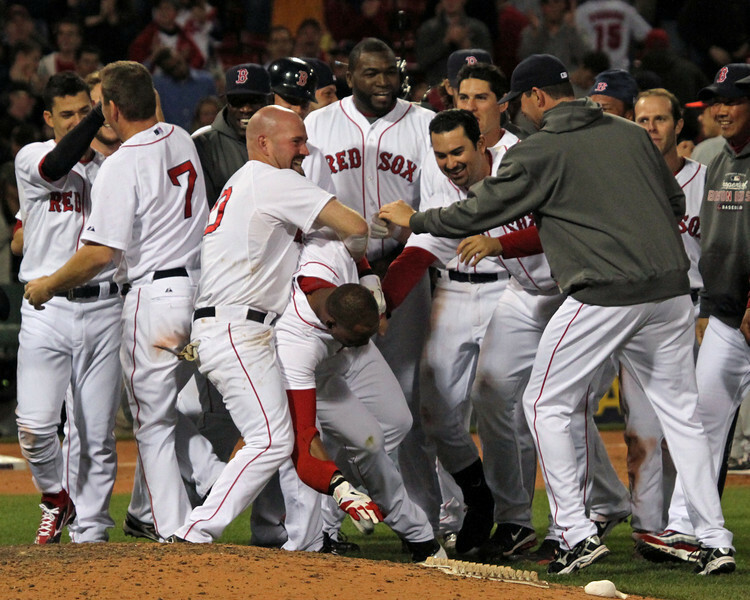 While I prefer an old-fashioned win within nine innings, there’s no denying that walkoffs are fun. Especially so when the hit is by someone getting beaten up about his lack of production thus far and the run is scored by a rookie. Sometimes the game ends like a storybook and I can’t complain about that. The Red Sox now sit 3.5 games out of first place with Baltimore and Toronto both behind them at 5.5 games out. Their next seven games are against American League East teams (two in Toronto, three in New York and then Baltimore comes to Boston for a two game series) and if they could get hot and, you know, win a bunch in a row…it’s a whole new season in May. The Platoon Advantage has some interesting numbers if you’re wondering about Joe West and his crew being a bit quick on the draw when it comes to tossing folks out of a game. Not a blog, but on Twitter NESN’s Jeff Howe claims that Joe West got his Friday night at Abe & Louie’s. Tim Britton over at the Providence Journal’s Sox Blog has pictorial evidence of Alfredo Aceves’ second balk of the series last night. Tito has promised to get Aceves “…to quit doing that”. Alex Speier has the story of Jose Iglesias, his decision at 18 to leave Cuba and how he feels about it. Really amazing stuff. (Speaking of Iglesias) Also not a blog but most likely the coolest thing you’ll look at all day: Kelly O’Connor was at last night’s game and got some fantastic photos of the walk-off and the celebrating. And a reminder: Take the Baseball Miscellany quiz for a chance to win the book it’s named after! Sandi Fenwick, Holly Beckett, Josh Beckett & Jason Oberle from The Josh Beckett Foundation hold a $100k check from proceeds generated by last year's Beckett Bowl. 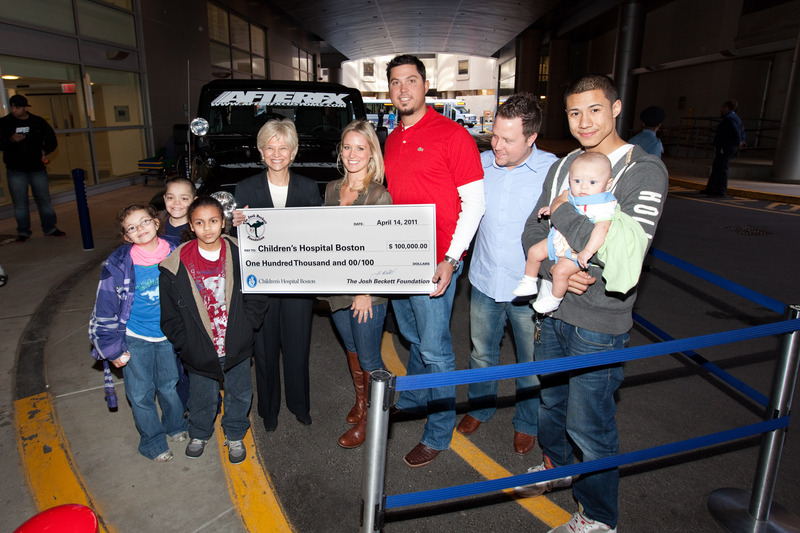 (Photo courtesy of The Josh Beckett Foundation and Altus Marketing and Management and used with permission. Okay, so we’ve seen the team (finally) win their first game, then we saw them win a series (or two) and now, with the same game, we’ve seen them win a game on the road and all five starting pitchers have at least one “w” under their belt. Add to this there being no “When will Papi hit his first home run” and all we have left to deal with from the media is “When will Carl Crawford become Carl Crawford?”. I’d say we’re doing all right. This has been the longest 17-game stretch I can remember. I’m worn out and I’m not even playing. And now we have three late night games to look forward to (tonight and tomorrow at 10:05 and Saturday at 9:05). If they can bring us wins, I won’t complain about how sleepy I am! I watched some of yesterday’s game on my cell phone while I was in church. Bobby Jenks caused me to think bad thoughts while there but at least it all ended well. Random stat that probably doesn’t mean anything but makes me happy: Jonathan Papelbon currently sports a 2.84 ERA and has 3 saves this year. Blog suggestion for the day: The Josh Beckett Foundation seems to be making the blog rounds, asking for help in promoting their good work. I’m always more than happy to help out but instead of giving you a duplicate post of what is said here, I send you to Denton at Surviving Grady for the info on how to support the Foundation, help out Children’s Hospital AND win a tricked-out Jeep Wrangler. It’s funny how when it felt like the team would lose 1-0 I didn’t mind so much but when they ended up losing 5-0 it annoyed me. Lackey pitched well last night. That’s all I’m going to focus on. Today is a 3:35pm game. I was hoping to live blog/chat it but I won’t be able to. Live chats will start up in earnest next week on either Tuesday or Wednesday depending on my schedule. I’ll make a more definite decision at some point before/by the weekend. So quit the bitching and stop booing this man, people who are doing so. Positive reinforcement will always get better results than negative. It’s slow going right now, folks, but the Red Sox are heading in the right direction. 4.5 games out of first place on April 20th isn’t insurmountable. Blog suggestion for the day: Jen at Baseball Heavy is always entertaining and if you’re interested in finding out what’s going on with the PawSox she’s a great source of information! The two jackasses were shut up quickly enough by a polite but large man who asked them if the seats they were in were actually theirs and who then suggested he could call security and find out. Like I said, we had a good crowd around us and after a game like last night’s, that makes a big difference. If you watched the Red Sox win their first series against the Yankees you know that they have some power and talent that just isn’t consistently showing itself. The Red Sox could still very well win this series against the Rays, which is all they need to do. Keep winning the series and everything falls back into place. So if you were one of the asses who spent money to go to a baseball game and then used that time to boo your own team, then you got the game you deserved and I hope it’s the only game you are able to go to in person all season long. It was definitely painful to watch the numbers keep moving up for the Rays, but games like that happen. At one point it went from painful to humorous. How do you stay at a blow out for almost the entire game and then decide the 11th run of the night was the final straw for you? The number of people who did just that (jumping up and waving their hands in disgust as they made their way to the exits) and it made for good entertainment. I’m not a fan of claiming staying at a ball game is a badge of honor and there are many legitimate reasons why someone might have to leave a game early, but I don’t think right now is the time to be giving up on your team. I don’t care how famous they are, I don’t care how fabulous their personal lives are and I don’t care how much money they make…the team is struggling and needs support not abandonment. Support the team or jump on a train and become a fan of a New York, DC or Baltimore team. Maybe that will be more fun for you? Random stat that helped make the evening fun: Alfredo Aceves, in relieving Tim Wakefield (who relieved Daisuke Matsuzaka) went 2.2 innings, struck out 2 and gave up no hits nor any walks. I’ve now seen him pitch twice this season and both times came away happy that he’s with the team.